In the year-long Community Art Hack program, students explore cultural identity, symbols, and narrative storytelling through Lino-Printing. Using personal memories as a means of reclaiming symbols, youth engage in empathy listening circles to actively participate in each others reflections. Memories are a catalyst for creating works that speak of our experiences and allow us to connect with others. 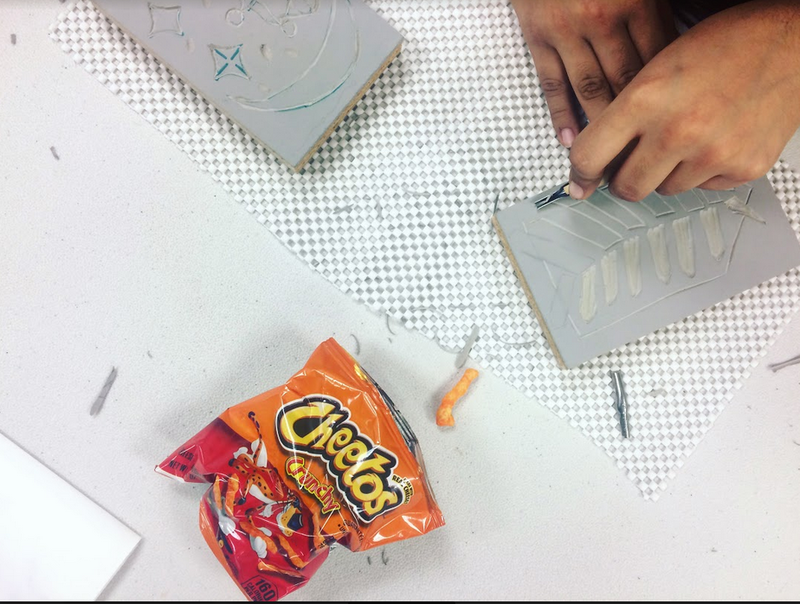 Students will activate their neighborhood, school and museum with their unique Lino-print and exchange works with youth in the Beacon Community Center program. 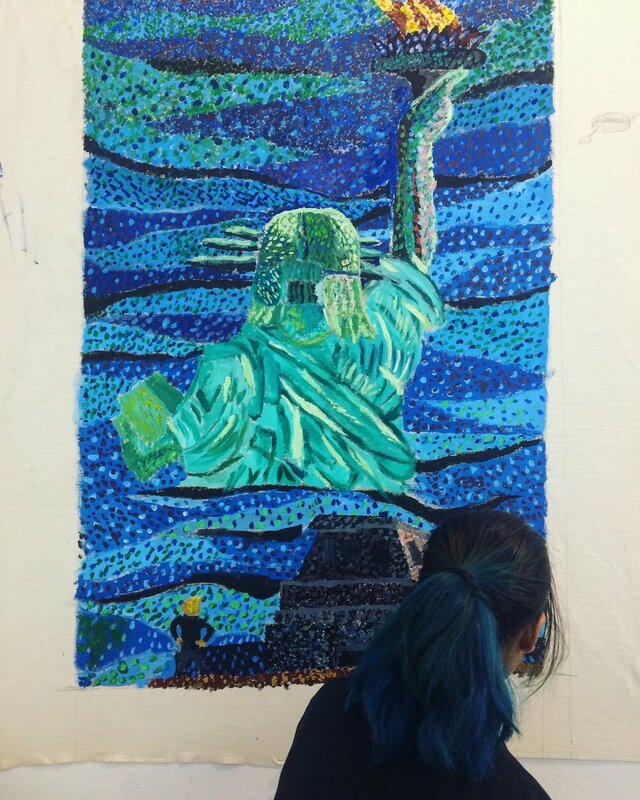 In its 3rd year, Queens Museum's SYAP (Summer Youth Arts Program) challenged its MS/IS students to reflect on Art as a tool for social change. Under the guiding questions, What is an artists responsibility? and inversely, What is a museums responsibility? 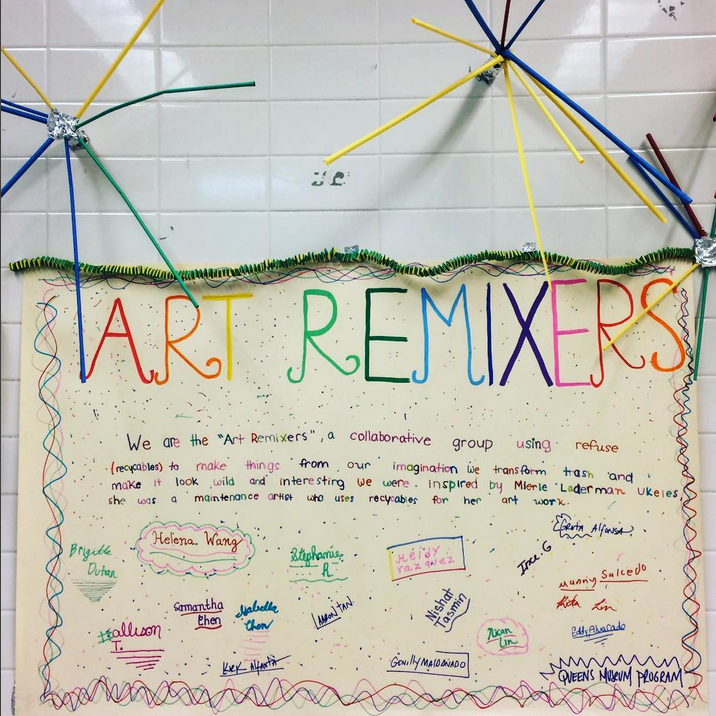 Teaching Artists pushed students to think critically about cultural institutions and the community they serve. SYAP is a complete collaborative program from curriculum conception between T.A's and students through evaluation/assessment. Students conceive of a personal project, work on proposals, artists statements, wall text and curate the final exhibition. 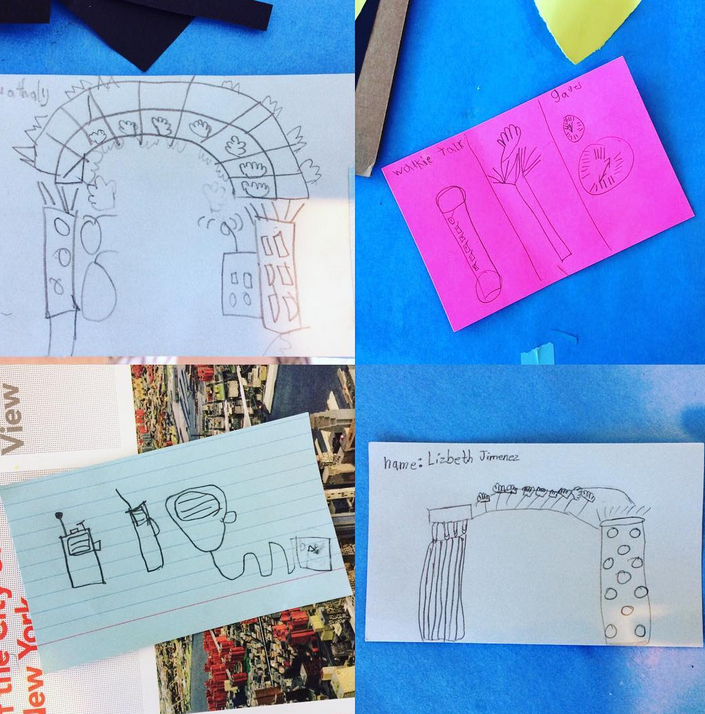 This years students also planned a Pop-Up exhibition in Flushing Meadows Corona Park. The program is made possible by a 5-year grant through the Pierre and Tana Matisse Foundation, whose mission is to provide arts education in a community setting through a social justice lens. Working with students from local IS/MS public schools in Corona, Community Art Hack is participatory art lab that moves locations throughout the duration of the program. 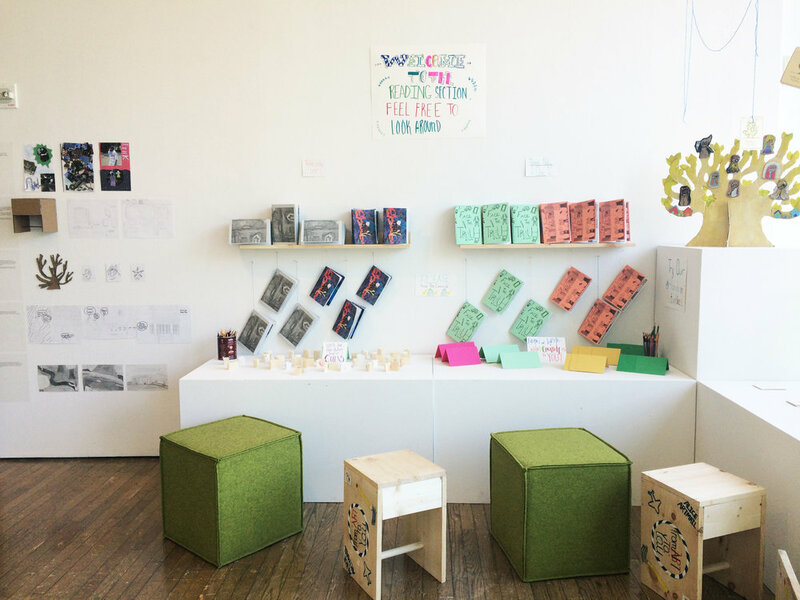 Our approach is inquiry based and focuses on ideational strategies and participatory projects created by the young artists that involve their surrounding communities. Moving locations from the Queens Museum to the Langston Hughes Library deepens our questioning on the roles of cultural institutions in the communities. Using this inquiry as a catalyst for sparking creative engagement in public spaces, participants design and implement Art Hacks. Through the lens of social justice, students are encouraged to develop agency in their voices, presence and communication. Anchored in the exhibition of Maintenance artist Mierle Laderman Ukeles at the Queens Museum, students in this 10-week program considered the artists responsibility in creating works of art. 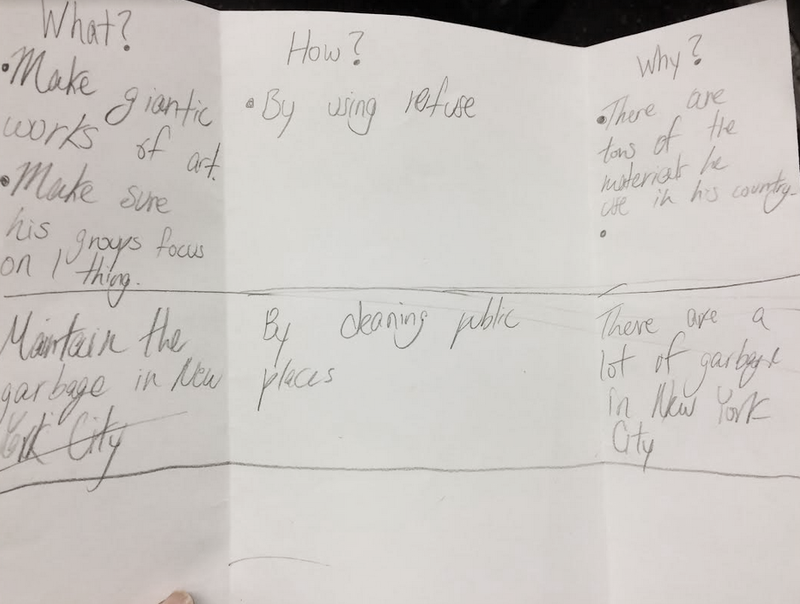 Using a quote from Ukeles' Maintenance Manifesto "Refuse is the most basic and honest information we have about who we are", we pondered the questions; How do we make the invisible/visible, What and who makes our school run? 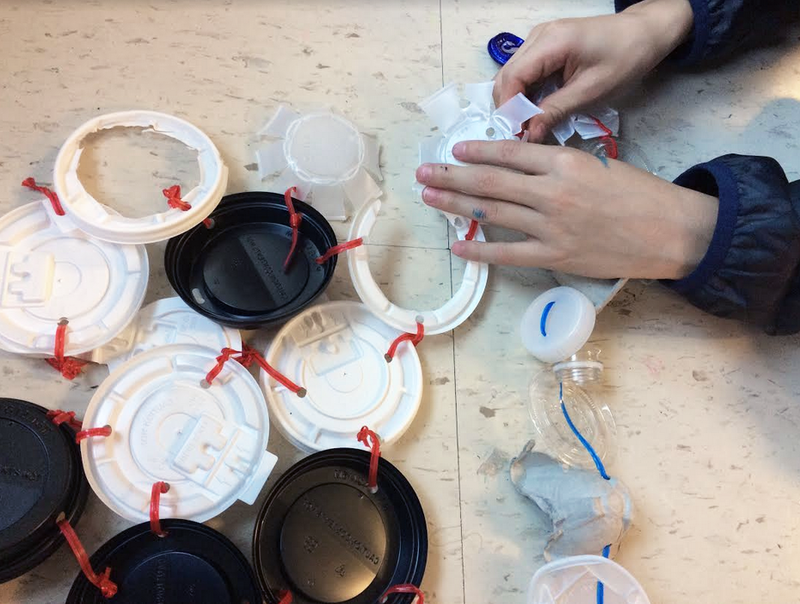 Students collected refuse from the school lunchroom and through hands-on skill shares, worked collaboratively to transform the waste into a site-specific installation on the 2nd fl. of the school. Now in its second year, the Queens Museum SYAP (Summer Youth Arts Program) is a free 6-week arts intensive open to MS/IS students in Queens. 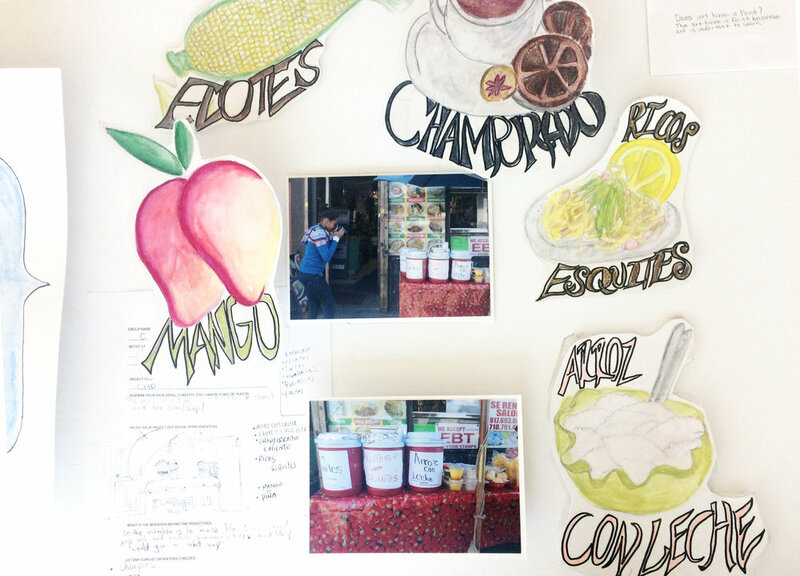 A true student-driven program, participants work directly with three teaching artists, guiding questions posed by the T.A's provide a conceptual framework for the art-making process. SYAP is a complete collaborative program from curriculum conception between T.A's and students through evaluation/assessment. Students conceive of a personal project, work on proposals, artists statements, wall text and curate the final exhibition. The program is made possible by a 5-year grant through the Pierre and Tana Matisse Foundation, whose mission is to provide arts education in a community setting through a social justice lens. 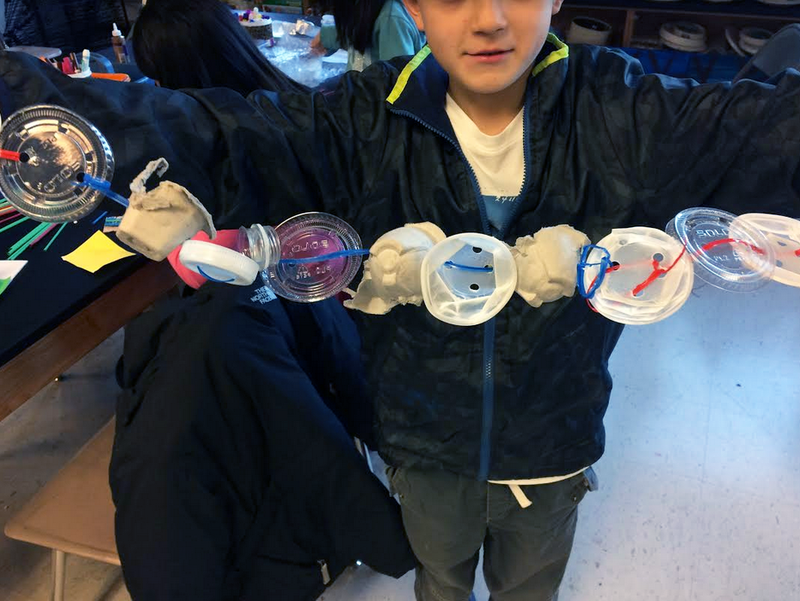 During this 8-week residency program, students from PS/IS 210 explored themes of character development through mixed-media exploration. With an intro on environment/setting we bagan our journey looking at and discussing Benny Andrews 'Tree of Life'. By observing the work, students were able to imagine sounds that would be native to the landscape and creatures that might inhabit that world. 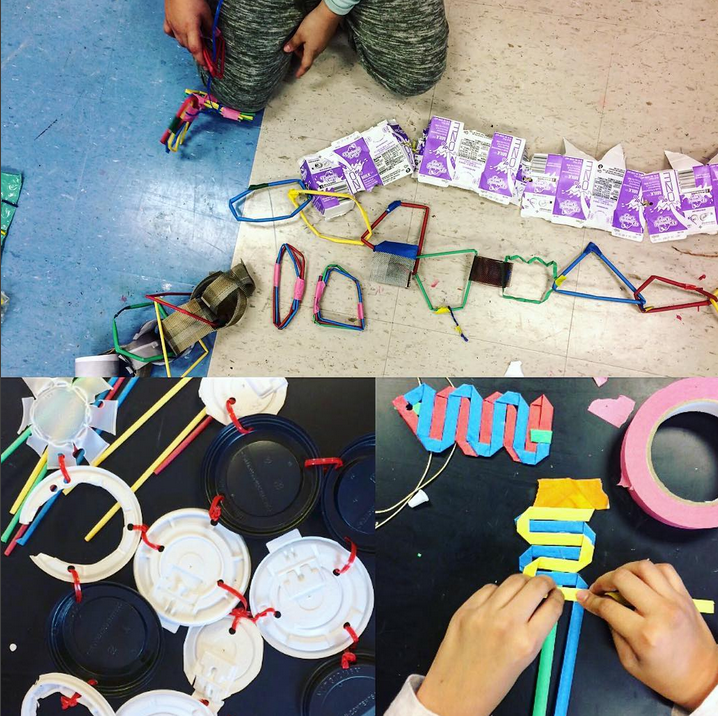 Utilizing organic materials that mimic the feeling and nature of the work, students created Organic Creature Compositions. Using these compositions as stepping stones, we began a multi-layered Fantastical Character design project. The project included, movement sketching and character drawings. Students cut fabric, glued newspaper, and measured bubble wrap to whip up costumes and embody their characters. As a final treat, using watercolor and collage they created colorful representations of their character environment reminiscent of Benny Andrews. This is where their characters dwell, in the forest of walking trees, a solar system far-far away and alternate realities only accessible by doggie doors. Every summer since 2011, I have led an introductory Antiquarian Photographic Processes workshop at the Center for Photography in Woodstock, NY. 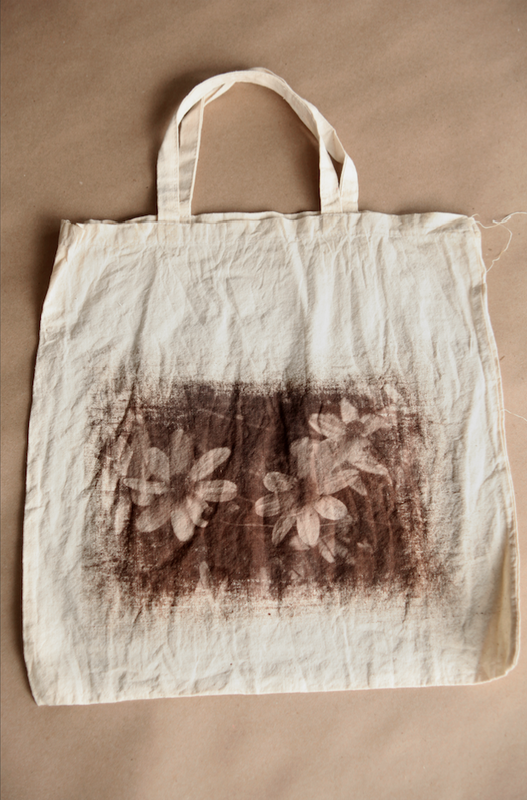 During the course, students learn the history and fundamentals of Cyanotype, Vandyke Brown and Salted Paper techniques. Heavy emphasis is placed on experimentation and ambiguity tolerance. By the end of the workshop, students leave with a basic knowledge of these historic techniques and their chemistry preparation, along with digital negative creation. For this 12-week residency program, SHM partnered with Dorothy Day Pre-School and Sugar Hill Museum Pre-School to provide in-house gallery-exploration and hands-on art making. Under the educational approach of Reggio Emilia, the program encouraged experimental and critical thinking in an intentional studio setting. 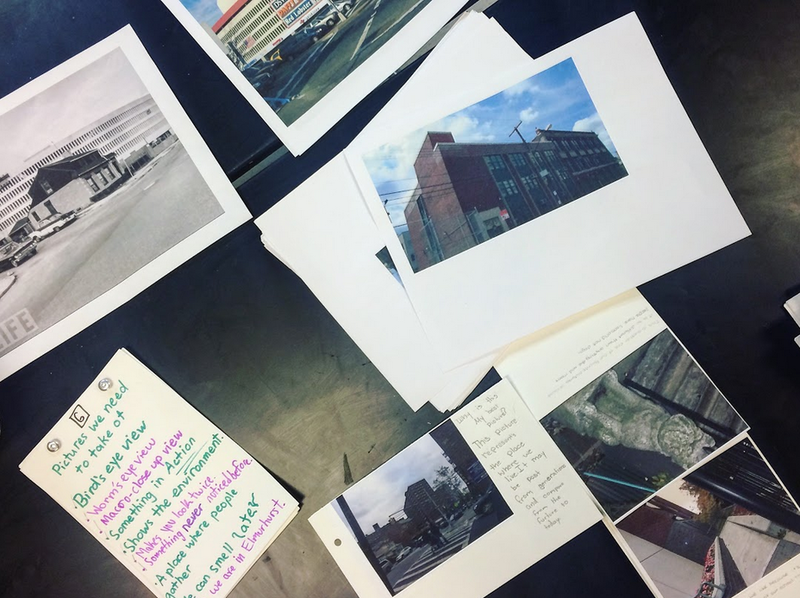 Students were inspired to think about their surrounding community of Harlem; what they see there, what they don't, and what they would like to see. Using those guiding questions, students worked in a variety of mediums to further their investigations on place and time. Four our inaugural spring workshop at SHM, we dove deep into storytelling. Who tells stories? What makes a salacious story? What are the elements of good storytelling? 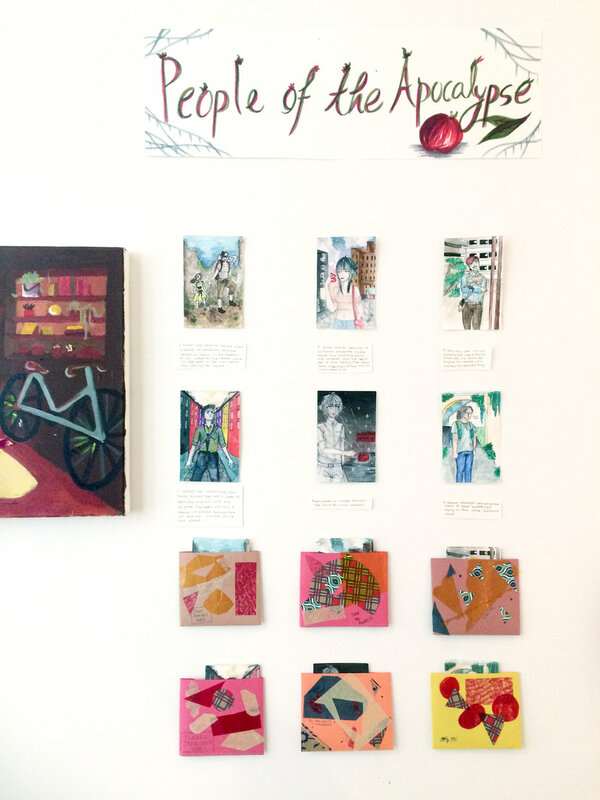 Through gallery explorations and correlating studio activities, students brainstormed, created characters/plots, and wrote their own small story in the form of a watercolor book. Queens Museum SYAP - Summer Youth Arts Program, is a free 6-week arts intensive open to MS/IS students in Queens. 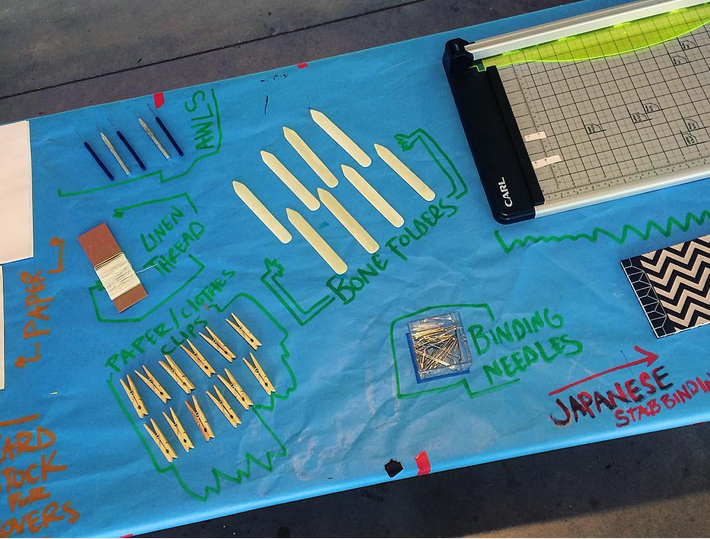 A true student-driven program, participants work directly with three teaching artists, guiding questions posed by the T.A's provide a conceptual framework for the art-making process. SYAP is a complete collaborative program from curriculum conception between T.A's and students through evaluation/assessment. The program is made possible by a 5-year grant through the Pierre and Tana Matisse Foundation, whose mission is to provide arts education in a community setting through a social justice lens. Cyanotype Pop-Up Family Workshop at The Center for Photography at Woodstock. A free, drop-in inter-generational workshop, where participants get their hands wet learning an Antiquarian Photographic process. 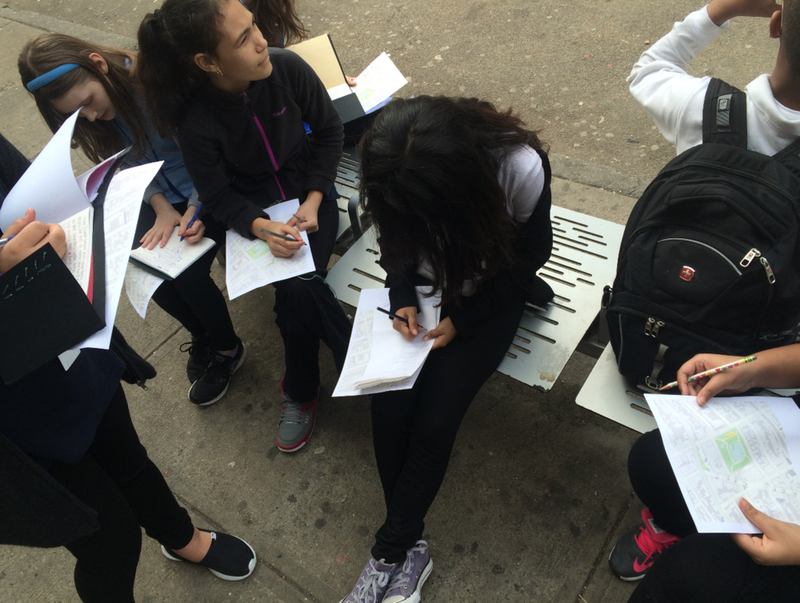 2015 Queens Museum School Partnership Residency program at PS 13 Q in Elmhurst, Queens. 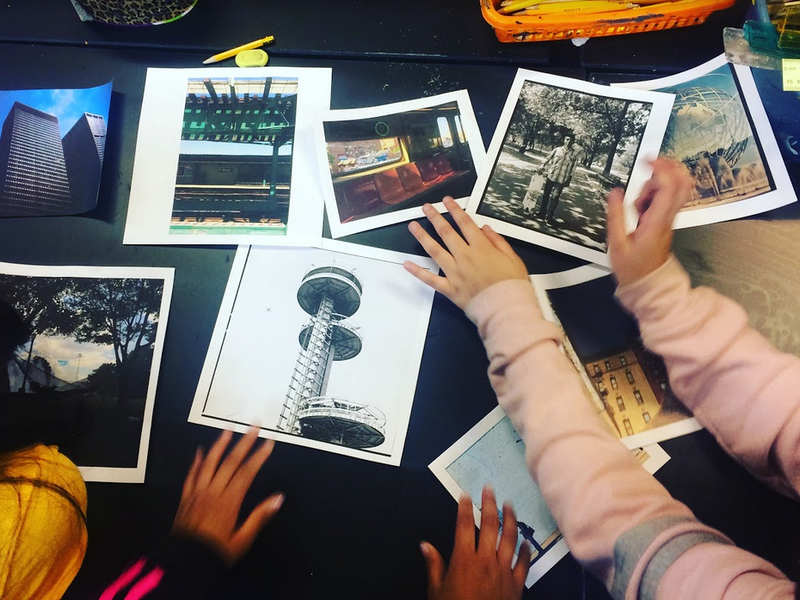 During this 10 week program, 4th and 5th grade students created artworks that reflected their communities, explored imagined utopian cities and expressed their cultural experiences through our Panorama of the City of New York. Jerome Fellowship recipient, Meredith James, led the class in a behind the scenes tour of' 'Mobious city", a replica of the artists live/work space - inspired by the Panorama. James invited students to further their investigations on community and personal likeness through a puppet making studio activity. 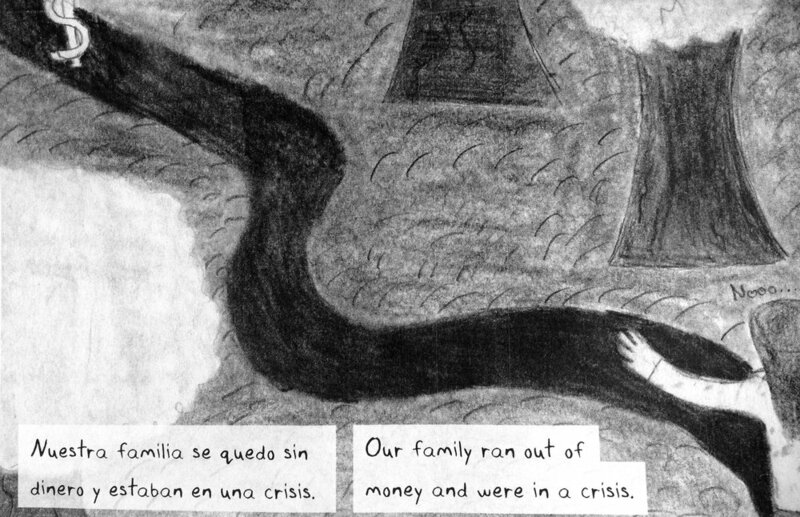 An end of the year exhibition at the Queens Museum, My City, My Story / Mi Ciudad, Mi Historia was the culmination of the school partnership.